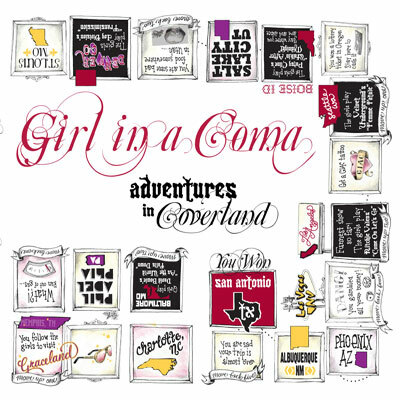 Exits & All the Rest, Girl in a Coma's 4th album is the most heart-stopping turn yet. From sharing stages with their heroes to experiencing Arizona's controversial laws firsthand, the album was born in an especially intense period for the band. 'Hope' is a pogo ready punk assault that speaks to the Arizona immigration dispute while daring you to stay still. Album opener 'Adjust' is a tale of persecution and a sonic minefield. Nina Diaz's voice turns from a lament to a growl in a split second while the thundering combination of Phanie Diaz's drums and Jennifer Alva's bass rattle your ribcage. 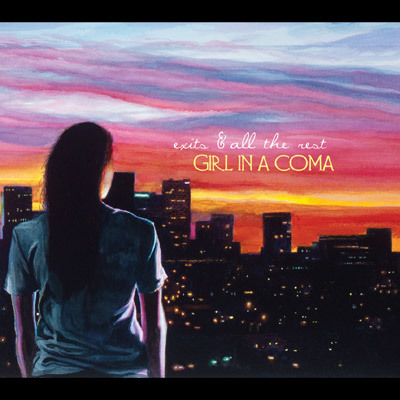 'Smart' showcases GIAC's own special recipe for a melodic pop song. The stomping rhythm of future GIAC anthem 'Control' lays a foundation for Nina's voice to build empires of heartbreak on. The stamp San Antonio's music scene has left on the band is all over the album; from punk to tejano to indie rock...it all contributes to a sound that can only be described as Girl in a Coma.